With issues from gay marriage to taking guns to church on the agenda, the state Legislature has had a busy week. And here to break it down for us is MPB Capitol Report Paul Boger. Welcome, Paul. One of the issues alive in the state Legislature now is the possible change in control of the Jackson Airport Authority. 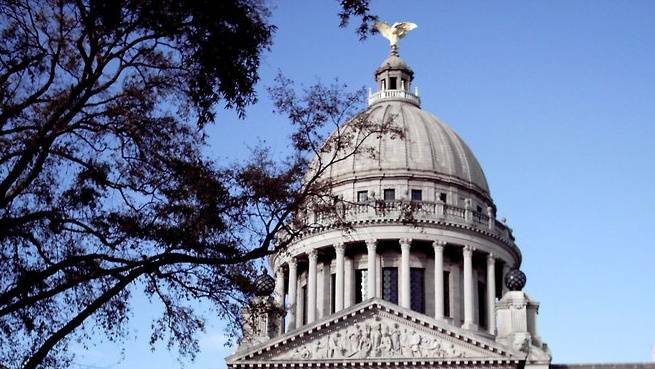 Legislation is alive to change the make up of the airport board, despite opposition from leaders in Jackson. Pretty much the same thing happened in North Carolina not long ago, and the state is still awaiting the outcome of that attempt. We spoke with Ely Portillo -- a reporter for the Charlotte Observer. He said the issue started in North Carolina more than two years ago. A bill that would allow judges to appoint counsel to low-income parents in cases of abuse, neglect or termination of parental rights is moving forward. House Bill 772 passed the Senate this week. It says the youth court may appoint counsel for an indigent parent in a parental rights case. The proposed law also spells out that the counsel could be provided by the State Public Defenders office or a legal services organization. Tiffany Graves is executive director of the Mississippi Access to Justice Commission. She told MPB's Evelina Burnett she’d like to -- ultimately -- see an even stronger law.